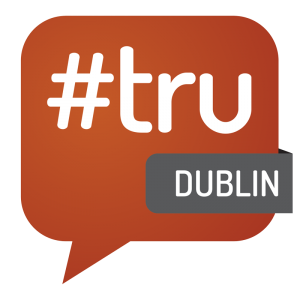 @IrishRecruiter / #tru / #truDublin 2016 – how to take part? How can I take part at #truDublin 2016? It is very simple, just register by using the link below! PASS for all areas and events, attendance is restricted to 150. If you want a PASS ticket, please make a donation of what you think it is worth to you. SPONSOR for a company that would like to sponsor #truDublin , 10 are available. If you would like to support the event, please donate what you think it is worth to you. You will be listed on the website and sponsor board. Email us at hello@irishrecruiter.com and tell us what else you want, we will be glad to accommodate you (no pitching or booths, stay tru!). TRACK LEADER for anyone who would like to lead a track, 24 are available. If you want to lead a track, book a track leader ticket and send us a mail with your topic. Track topics are anything you think is worthy of discussion. Track leaders start the conversation, opening things up to the participants. There are 24 spots, and you set the topics. We will publish the agenda as soon as all the tracks have been claimed. SHOW & TELL for anyone wanting to present a product, 12 are available. This year at #tru Dublin we will be featuring the best in talent technology in the show & tell. Show & tell is a 20 minute slot, 5 minutes on market, up to 10 minutes on product and 5 minutes Q&A, with participants voting on the question “if you had budget and need would you buy it?” . As with all of our tickets, it is donation only, give what you think it is worth. Find out more about #truDublin 2016 here! The event organiser is Irish Recruiter and we are thankful to the main sponsor Clinch and Track Leaders. Special thanks to Dogpatch Labs for providing the venue!